CLIFFSIDE PARK, N.J., February 5th, 2019 – A spectacular new Penthouse model with unrivaled views of the Hudson River and New York City has debuted at One Park, the upscale collection of 204 condominiums and world-class amenities in Bergen County’s Cliffside Park. Situated on the top floor of the 14-story building, the 1,427 square-foot two-bedroom home was sponsored by Nest Seekers International and merchandised by the boutique interior design firm Marina Cheban Interiors. The gracious floorplan has been furnished to accentuate the versatility of One Park’s penthouse residences with a second bedroom outfitted as a nursery or children’s room. The model also fully highlights an array of high-end appointments found in every One Park home and spotlight its 200 feet of private outdoor space with magnificent views of the Manhattan skyline. Prospects interested in the Penthouse model can contact Marc Brenner or Taryn Byron of Nest Seekers at 201-920-8563. 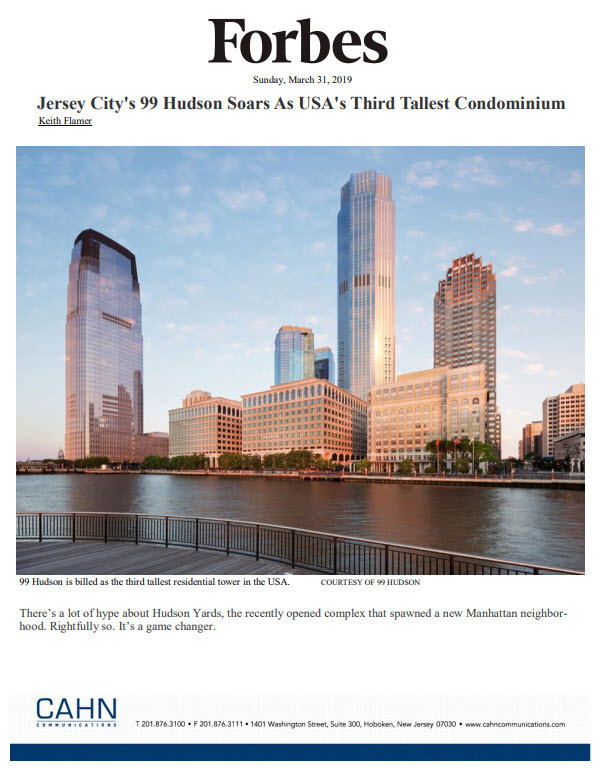 Nest Seekers International is a trailblazing real estate firm with offices worldwide and one of the leading residential brokerage office on New Jersey’s Hudson River Gold Coast. The Penthouse is the third model to be unveiled at One Park, allowing prospects to get a thorough feel of its residences by viewing homes with different interior design selections. Also available to tour is a three-bedroom unit merchandised by renowned interior designer Dan Mazzarini, Principal at Manhattan-based interior design firm BHDM Design, and a two-bedroom home furnished by Designs by Human. Boasting an enviable Hudson River Gold Coast location perched high above the waterfront on the historic Palisades Cliffs, One Park offers one- to four-bedroom luxury condominiums ranging in size from 751 to 2,983 square-feet and priced from the $500,000s. The homes are available with immediate occupancy. For more information on One Park, please call the Sales Gallery at 201-633-7600 or visitwww.OneParkCondosNJ.com.